Can You Learn Acting Online? 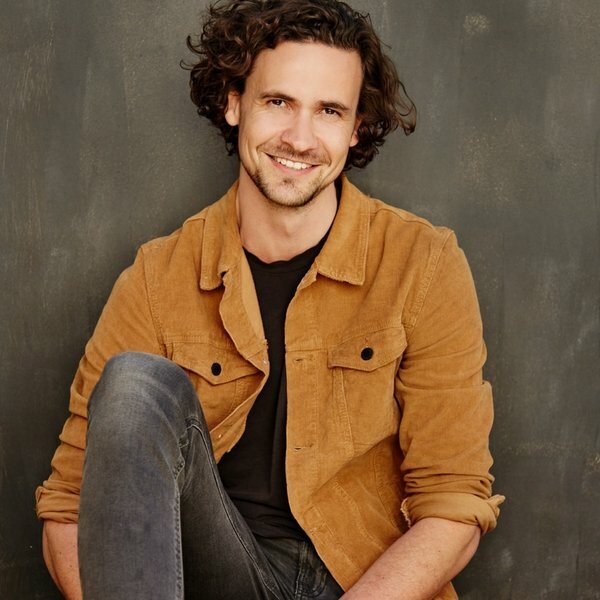 | Is an Online Acting Course a Good Idea? Stage Milk / StageMilk Acting Blog / Can You Learn Acting Online? 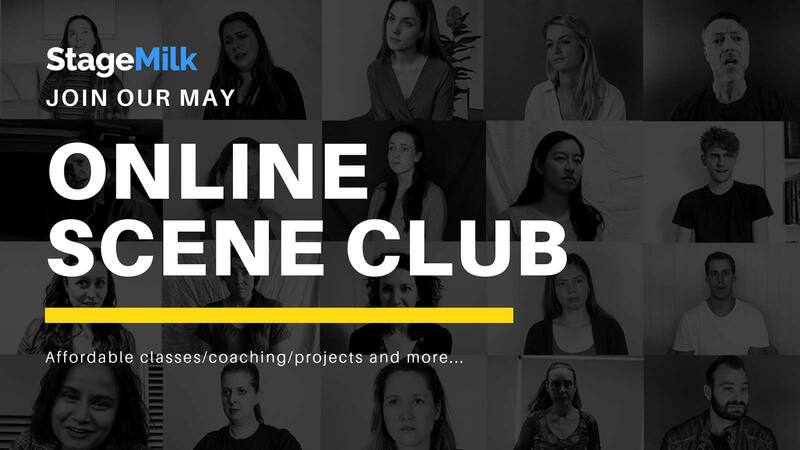 When we started our online acting course last year we got a number of emails and comments declaring “you can’t possibly learn acting online!” Though we were proud of what we’d created, we too were doubtful about whether acting could be learnt effectively online. Luke and I, the two tutors of the course, had studied at a top drama school. We had worked on our acting skills day in and day out, and so we knew the value of hands-on training. Maybe learning a craft like acting using a smart phone, tablet or computer could difficult or impossible? We released our first course and students loved it. We have since worked with 100s of students, and found that learning online is not only a viable alternative, for some actor’s it’s preferable. We attracted students who were previously too intimidated to attend an acting class. We found that in the comfort of their own home, many actors felt safe enough to dive headfirst into their acting. They not only overcame their fears, but they thrived. We helped actors in the remotest corners of the earth, who, as long as they had an internet connection, could get started on their acting careers. So armed with a cohort of happy students I’d love to show you that acting can be learnt online! How do you actually improve as an actor? Acting shouldn’t be an intellectual undertaking, but understanding the fundamentals of acting and performance is vital for becoming a better actor. Understanding the craft gives you the freedom to then break the rules when you are in rehearsal or performance. Gaining this knowledge can be done in many ways: a great mentor, an acting book, an acting teacher, a weekly class or masterclass, Youtube, or an online acting course. It’s the work of getting out your pen and paper, shutting up and taking in the boring stuff. Remember: knowledge doesn’t have to be academic, sometimes a passing comment, or quote, can change the way you think about acting. You want to work on a variety of texts and with directors and actors of all abilities. 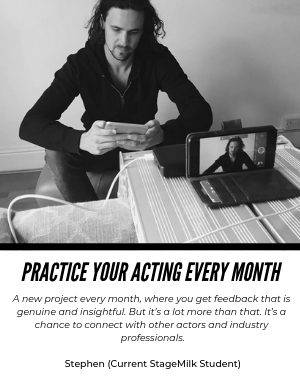 This range of work will help to hone your skills, and stretch your range as an actor. Say yes to projects and collaborate with other artists who inspire you. Learning online can be tough if all you’re doing is watching videos and reading articles. If you are learning acting either with StageMilk or any online course, make sure you put the techniques you are learning into practice. In our course we have practical projects like monologues and scenes so that students can apply their new knowledge. If you hear something you like, or learn a new technique, find a monologue, and put it to the test. So after running a number of online acting courses now, I can safely say that it’s definitely a legitimate way to learn acting. Of course it can’t be done in isolation. You have to take your knowledge and put it into practice: making your own work, auditioning, performing and working on your skills daily. It also can’t be a once off. Even actors who have been in the industry for 20 plus years have to keep training. I recommend exploring a variety of different training programs and learning from every experience you have as an actor. If you want to join our next course, starting very soon, check out: StageMilk Drama School.